Creating imaginative, thought-provoking, and entertaining films and media for others to enjoy has always been my greatest passion. In 2017 I founded DUBORD STUDIOS, a VR game development studio producing groundbreaking experiences for Virtual Reality. Check out our games, experience and info' about VR at https://dubordstudios.com. I enjoy fishing, the outdoors, reading, motorcycles, movies (naturally), music, and darn-near anything creative. I also brought this issue (among others) up in the KDE community forums: KDE forums post. After I’ve posted a topic, if I click on the gear for the original post, select “Edit”, change the text, then click the “ASK AS QUESTION” button, I get the following error: “Looks like your connection to the Antergos Community Forum was lost, please wait while we try to reconnect.” The error goes away after 5-10 seconds, but my edits weren’t saved in the Topic. When I refresh the page, the editable text input box at the bottom re-appears with my changes, and the cycle repeats. After I make my changes and click “ASK AS QUESTION”, the Topic is updated with my edits/changes, and doesn’t give an error. @folgui Thanks for the reply. These do serve as a work-around, though I guess I was expecting a setting in the KDE System Settings that I could use to adjust the HiDPI settings for GTK applications (like in the Application Style section). 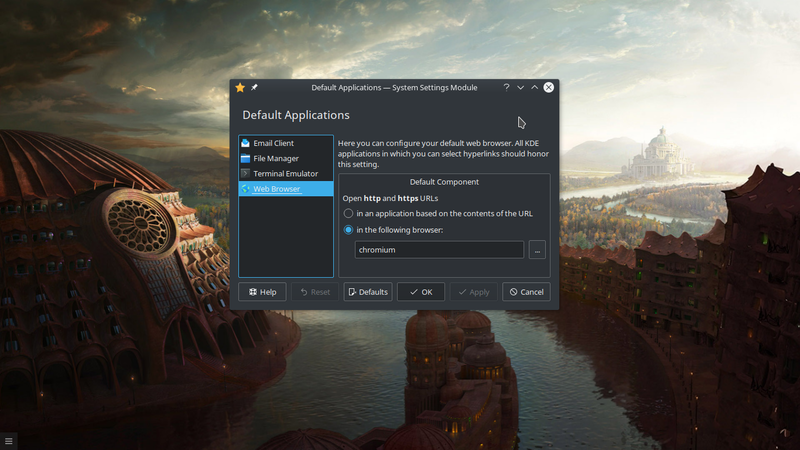 I can’t see manually changing the environment variables for each GNOME app every time I try to open them as being a viable solution, you know? I was trying to see if there was a setting that I missed. If this is just not a feature available in KDE Plasma, I’m happy to submit a feature request bug in their bugtracker. Not to mention it scales up properly on HiDPI monitors, which I can’t say the same for Pamac, unfortunately (GTK3 buttons and header bars don’t seem to follow the scaling scheme for KDE). Down-side is Discover doesn’t show results for technical packages, nor packages in the Arch User Repository, afaik. BEHAVIOR: after a fresh install of Antergos with KDE Plasma 5.12.3, I set the hidpi scale in the Display settings to 1.7. Qt and KDE apps looks fine, but GTK3 apps like Simple Scan, Epiphany and even Pamac have really small icons and text (see screenshot below). How can I fix this? Same problem, here. I can’t get the live USB to boot to GNOME desktop via a PC with a GTX 1080 card in it. Adding “nouveau.nomodeset=0” didn’t seem to work; screen gets stuck on a blinking cursor. This is a critical issue if users can’t get the Antergos live ISO working on PC’s with modern Nvidia cards in them (easily, anyways). @bpoerwo according to this screenshot, it’s supposed to be Chromium. @joekamprad, here are the results of the commands you requested (I removed the commented sections with a # at the start of the line). It looks like the mimeapps.list is still pointing to Firefox? I’m experiencing an issue after installing Chromium. It isn’t the default browser, and when I click “Set Default” after it opens, it doesn’t register (logging out or rebooting will cause Chromium to prompt again that it isn’t the default browser). Going into settings and clicking “Make Default” doesn’t seem to do anything.